Most Americans have no idea that they’re victims of a security breach, and it can happen anywhere at any time. It’s awesome to be able to use technology to make our live’s easier, but you can’t let others take advantage of you. If you’re shopping for food, buying new clothes, or scrolling through a fitness tracking app, you’re still vulnerable to a data breach. It’s almost as if anywhere we now go online is a chance for someone to attack. That’s because you’re still leaving your own data when you do any of these tasks. You leave traces of your own data, and something that seems harmless like shopping for clothes online, still means you’re entering your personal payment information in. These are just examples of things people do every day on their phone. Now that you recognize how easy it is to fall under an attack, you’d expect tons of people treating their data with care. How Often Do You Check for a Breach? But 1 in 5 people have checked for a breach in the last month, and 66% of people don’t know what to check if a breach occurs, according to a Lexington Law survey of over 1,000 people. 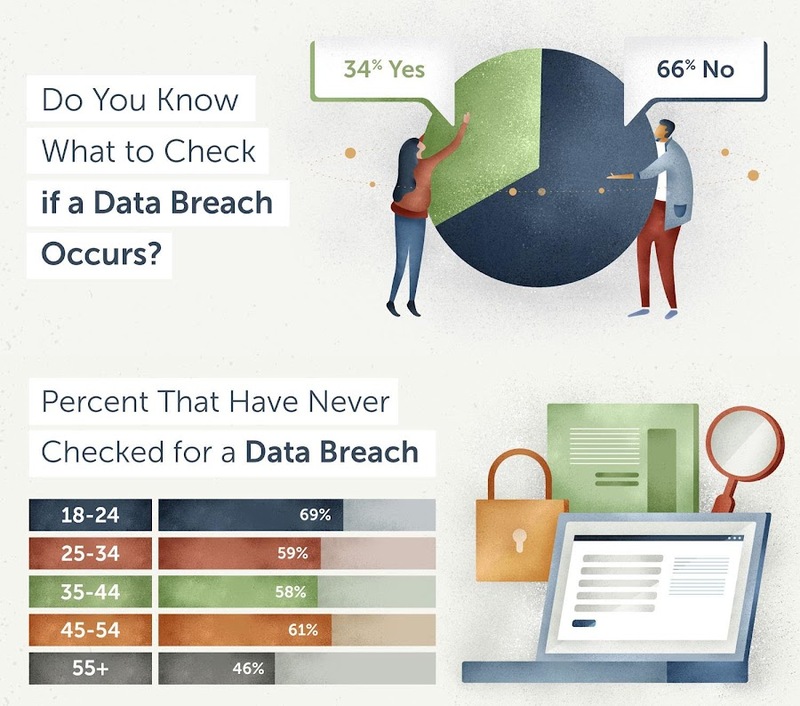 A majority of Americans have never checked if they’ve been affected by a data breach, and what’s more alarming, is that people ages 18-24 represent the highest percentage for people who have never checked if they’ve been affected by one. You would think that the generation known for their technical savviness would be the group on top of their data security. However, the survey reveals that Americans over the age of 55 are 15% more likely to have checked for a breach at some point than all the other age groups. You can point out that 18-24 years-old aren’t concerned about their data, but a large part for this stat is simply because they lack experience. It’s easy to believe that you’re safe from a data breach if it’s never happened to you. Most 18-24-years-old think that because their personal information has less history, they don’t need to worry about losing anything. Yet, the most common type of identity theft comes to no surprise—credit card fraud. And if 18-24 year old’s don’t take action soon and learn how to shield from this attack, identity theft could have a detrimental effect on their futures. In 2017, the Identity Theft Resource Center reported that 14,207,346 credit card numbers were exposed. Identity theft is serious, and it inflicts a significant amount of stress, fear, and helplessness on people. 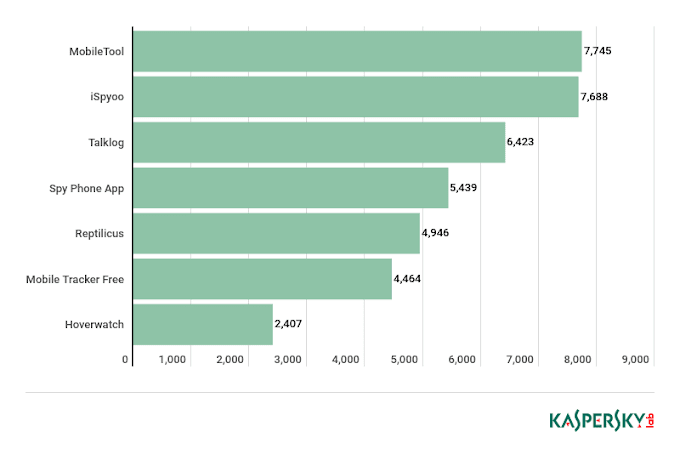 Aside from credit card fraud, most people have been victims of tax fraud. In this case, victims lose their refund to a thief with their data. Do You Understand What To Do During A Data Breach? 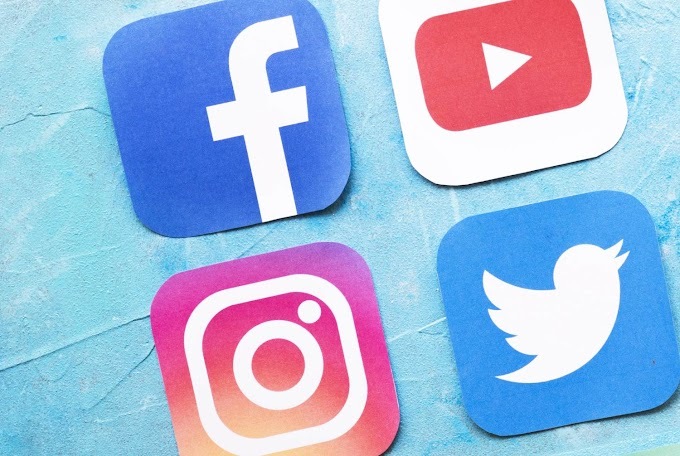 Although it’s impossible to be sure if every bit of data you have is safe, (especially in today’s world where we constantly share data with one another) there are key measures you can take. First, let’s understand why it’s difficult to understand what to do during a data breach. In 2017, 1,579 U.S. total data breaches occurred. To be able to check on each one adds up to looking into more than four a day, every day, for that year. One thing you can do to check right away if you’re a victim of a data breach is to enter your email address on this site: haveibeenpwned.com. On here, you’ll either get the red or green light as to whether or not your data is secure. It’s also imperative that you develop a regular habit of checking your credit score to look for any unusual history. Stay on top of your financial priorities and keep track of how you spend things so you’re able to point out anything suspicious just in case. Aside from this excellent habit, you’ll want to look over your bank statements regularly so that you can keep on eye on any unusual activity. If you contact your bank right away after you notice strange behavior, banks can help you clear up the problem. Let them know that you’re the victim of a data breach and potential identity theft. In recent years, some of the most common sources of data breach attacks include passport numbers, birth certificates, and email addresses, aside from credit card numbers. They all contain personal data that belongs to nobody else but you. Don’t let these fall into the wrong hands. Any stolen information from any of these sources will without question, impact your life in the long run. Plus, as digital technology continues to evolve, this opens up more ways for data breaches to occur. It allows crafty data thieves to prey on those that aren’t aware of their own data security. This isn’t to say that the digital tools we have today are bad. They make it easier for us to share data. And if you use the right tools and methods you’ll quickly find out that you can track your own data. The institutions that hold our data should be the ones responsible for protecting us from data breaches, but it never hurts to be proactive and plan ahead to shield against a breach. Don’t be vulnerable. Learn more about the study from Lexington Law that surveyed where data breaches occur and what you can do.